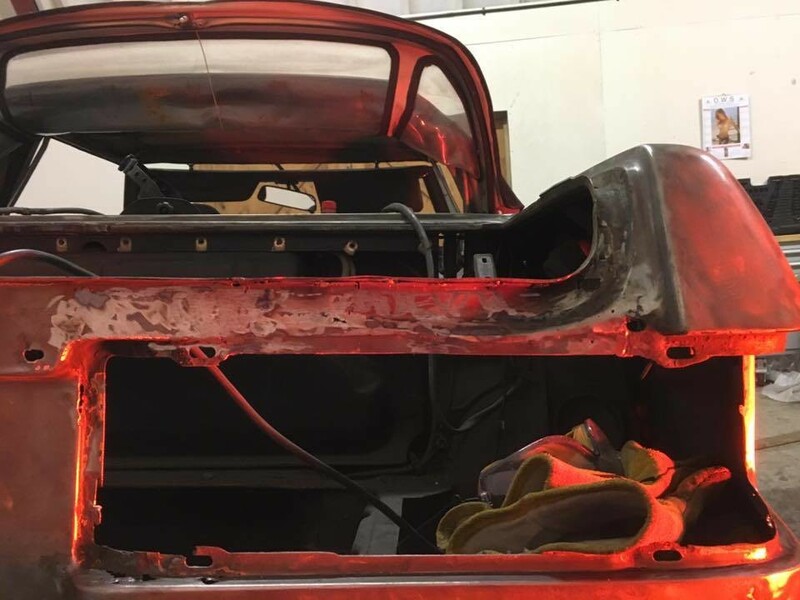 We started this vehicle at the beginning of the year. 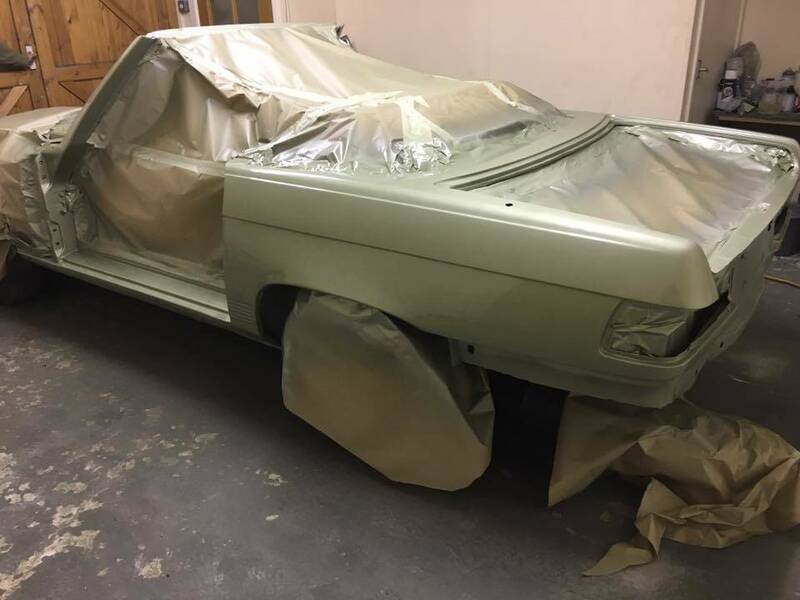 For many years it had lived in Ireland and was painted black a long time ago. 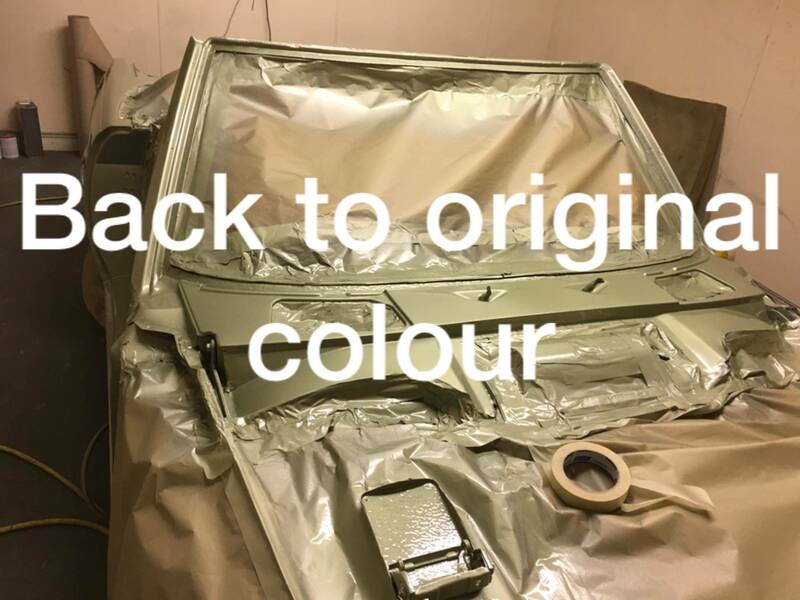 During the full renovation process we found the original colour, and here it is back to that original colour. 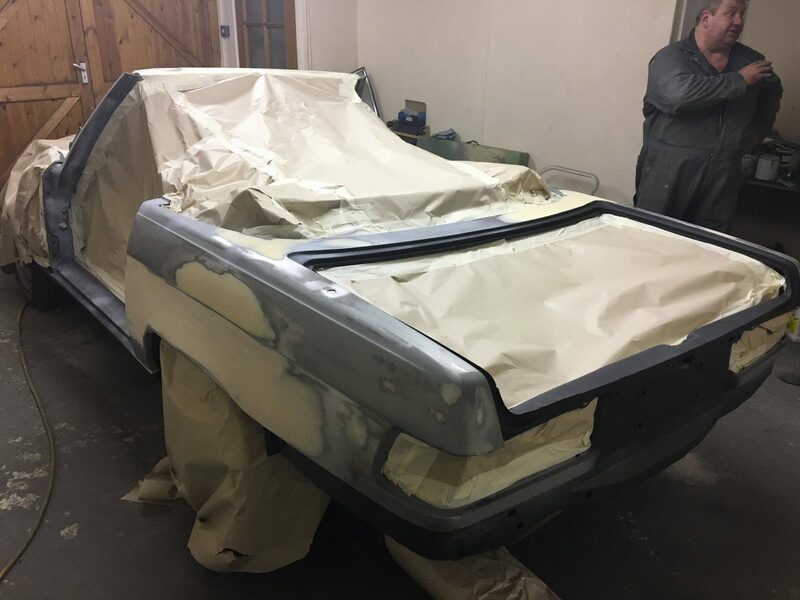 100s of hours have been invested in time and £1000s into materials. 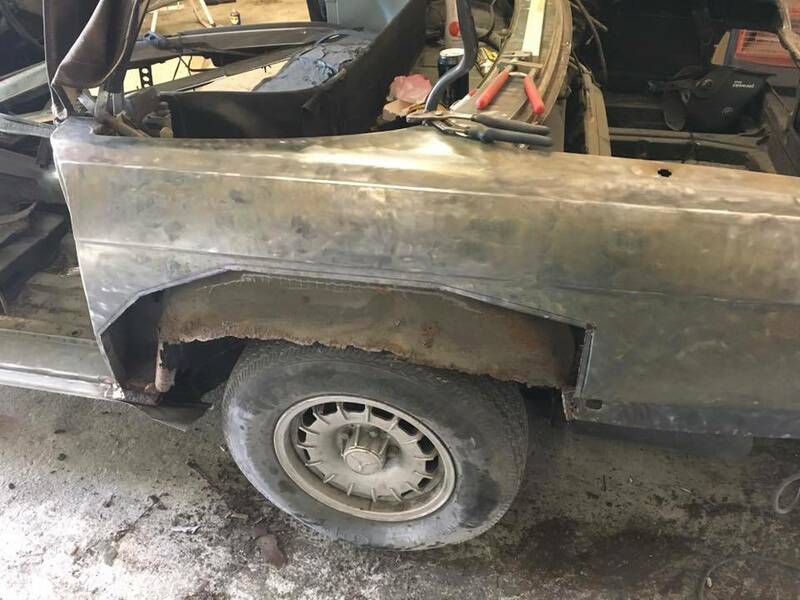 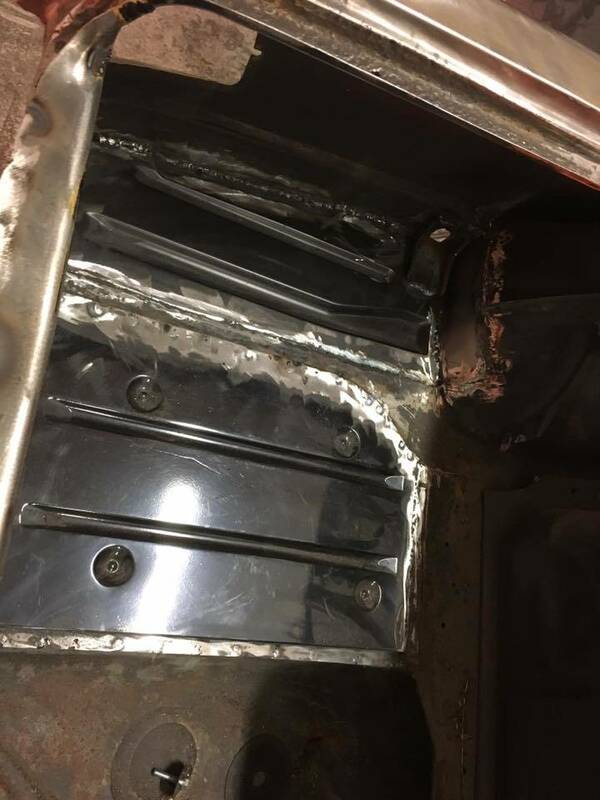 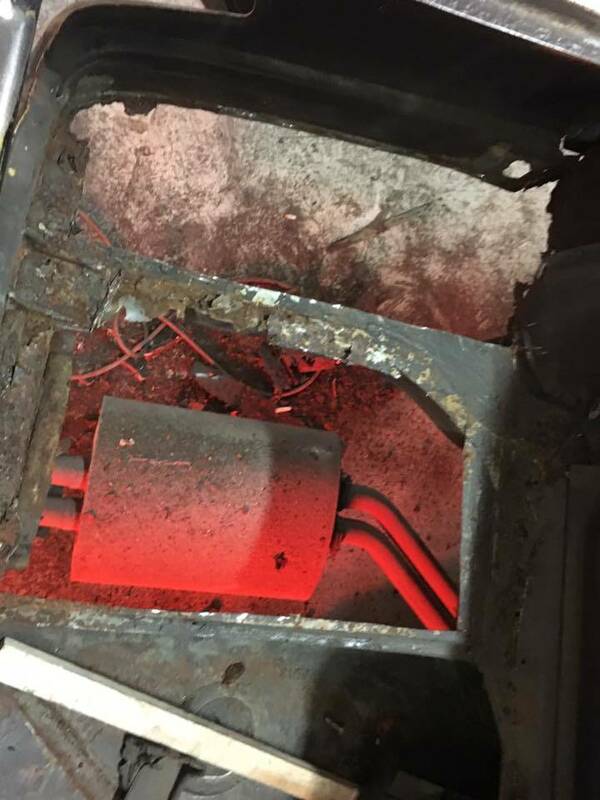 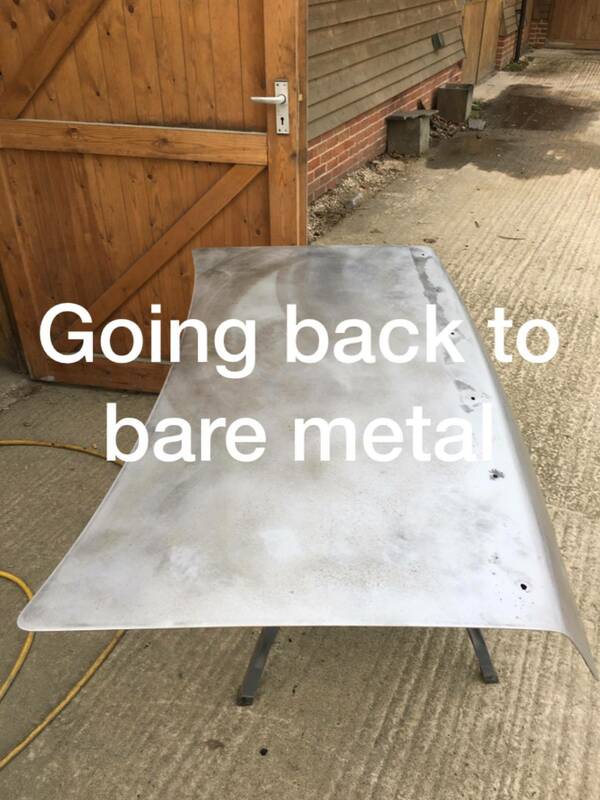 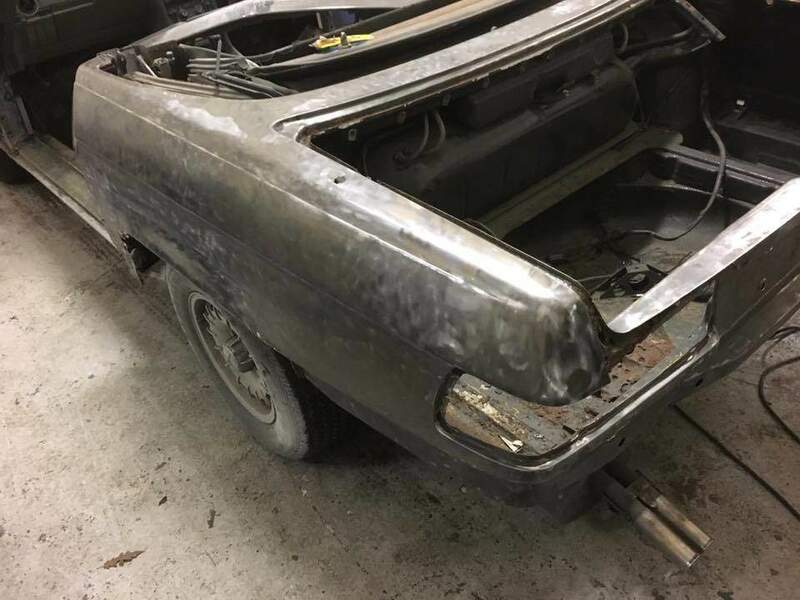 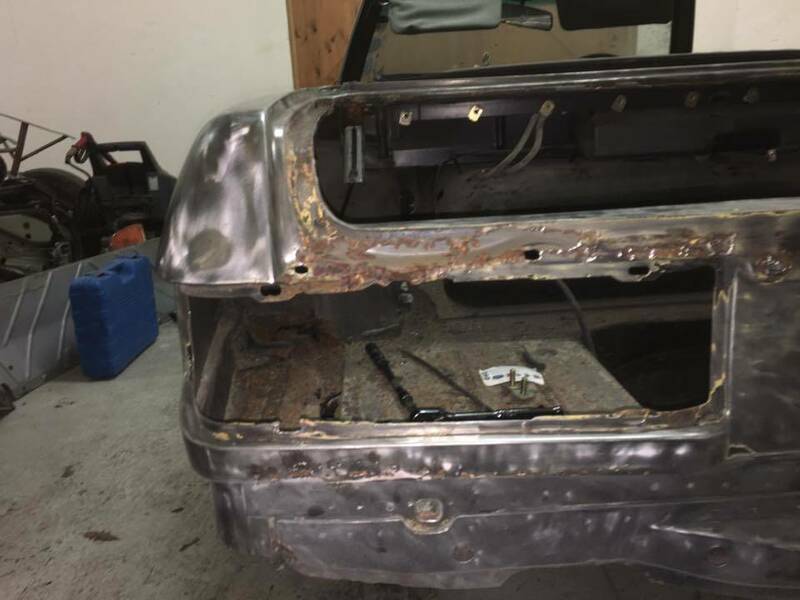 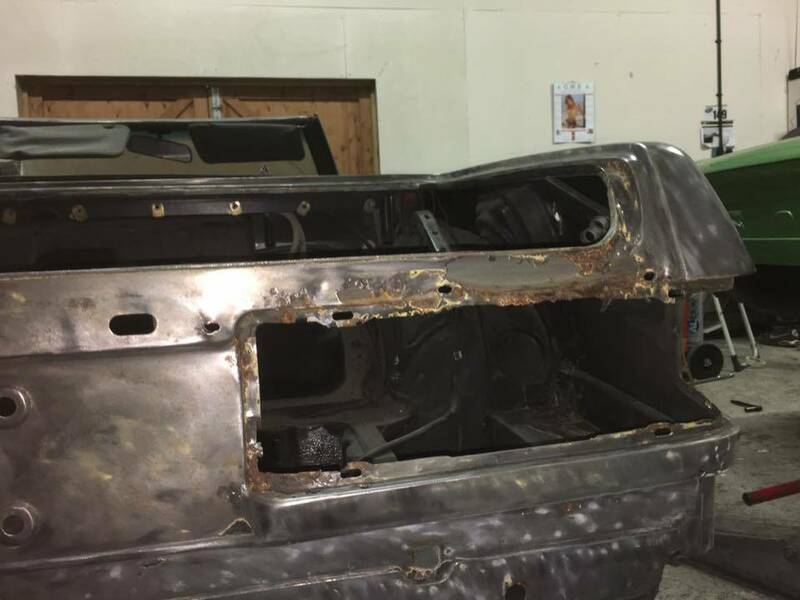 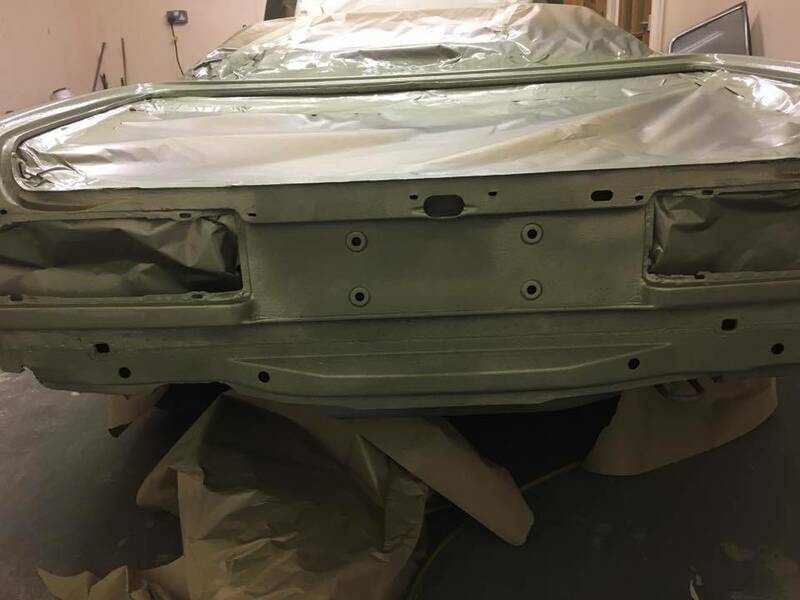 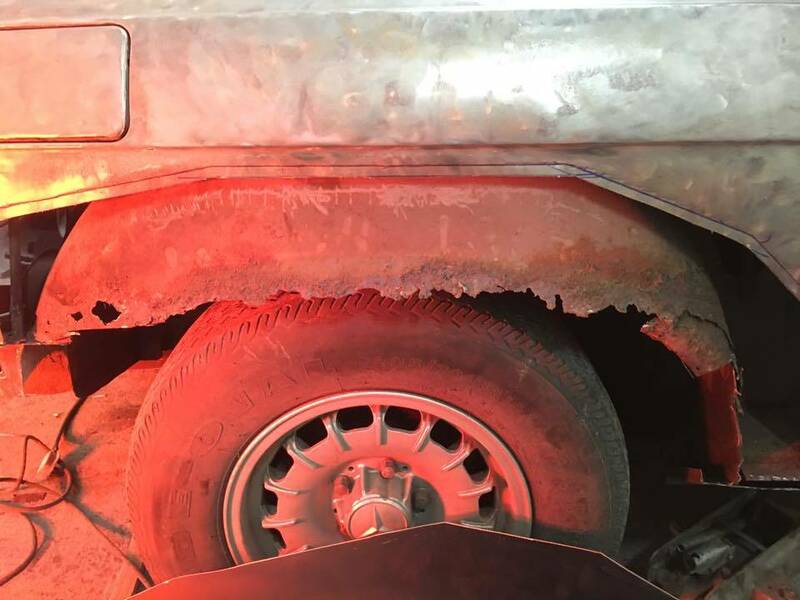 We had considerable welding to do and this really was a labour of love for our highly experienced and talented restoration guys. 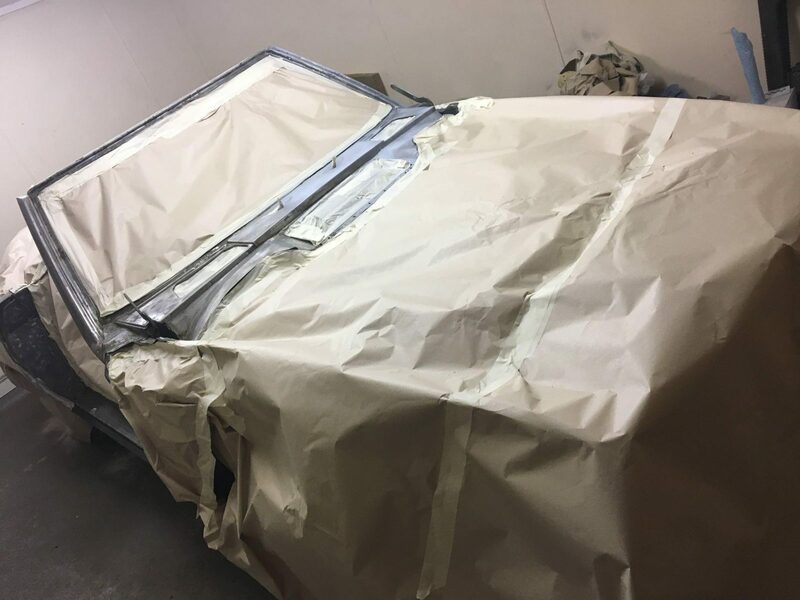 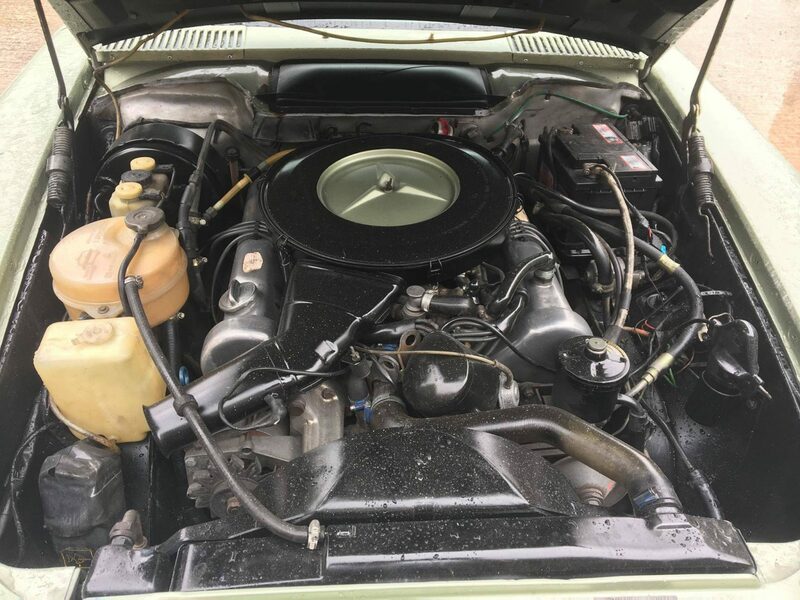 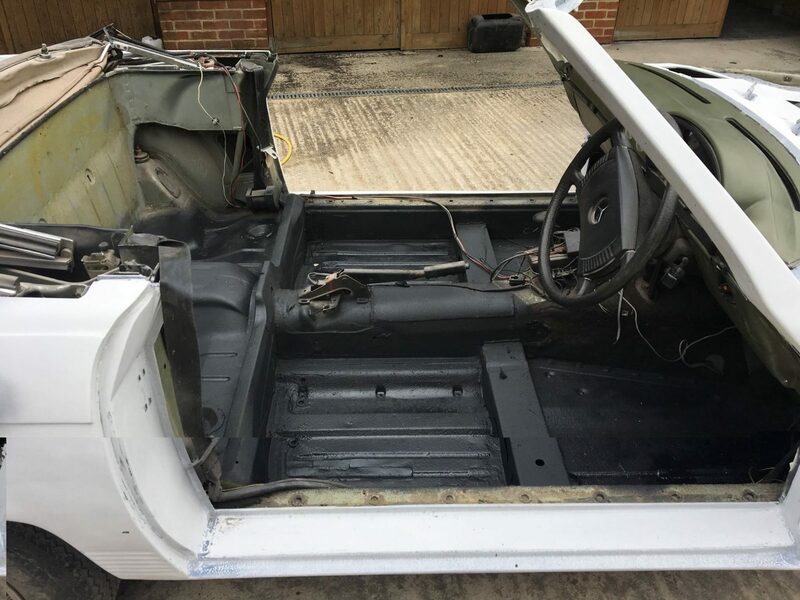 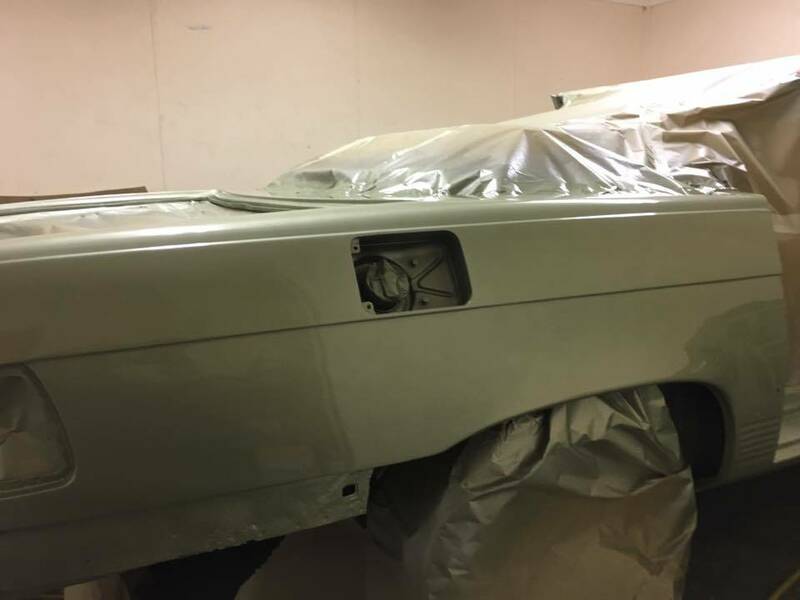 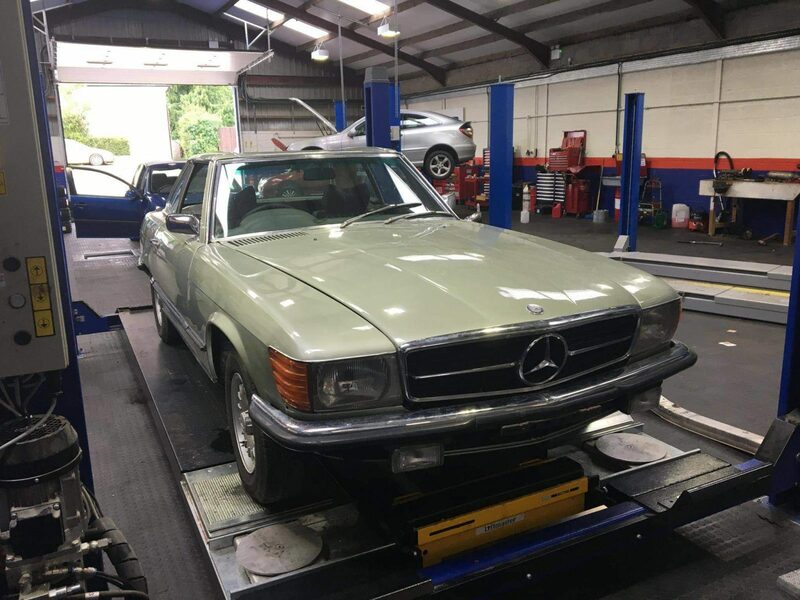 Mr Bobby Nunn and his team have worked wonders on this vehicle and Bobby has many years of experience in his field and his true expertise really shows in the finished result. 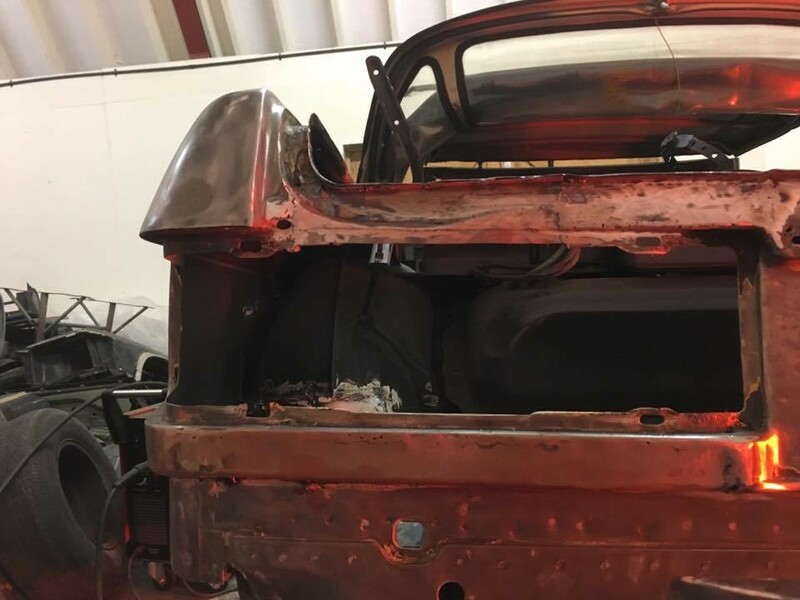 All of the team have worked very hard in what is a very short amount of time to get this to what it is today. 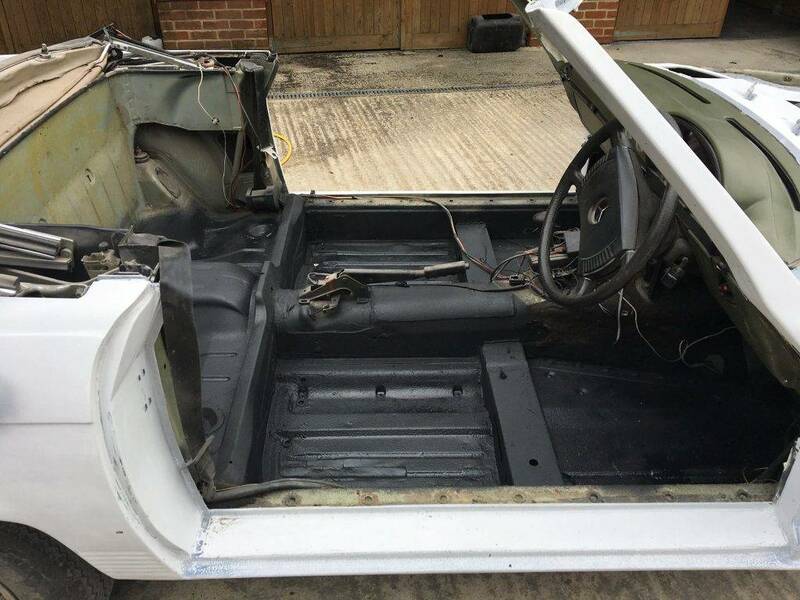 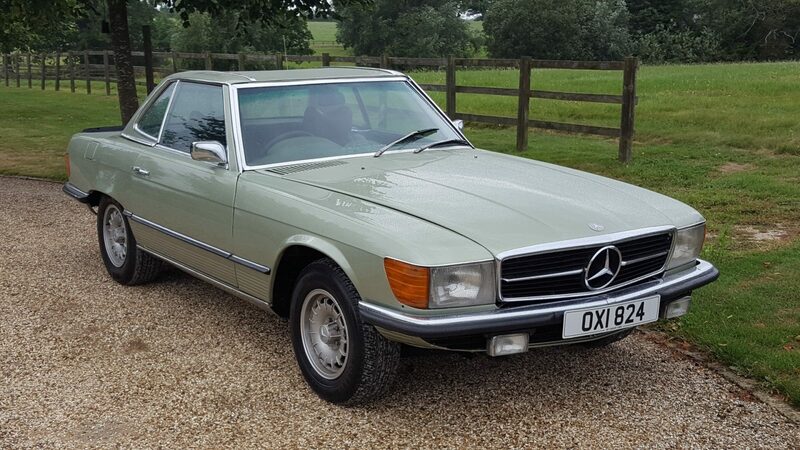 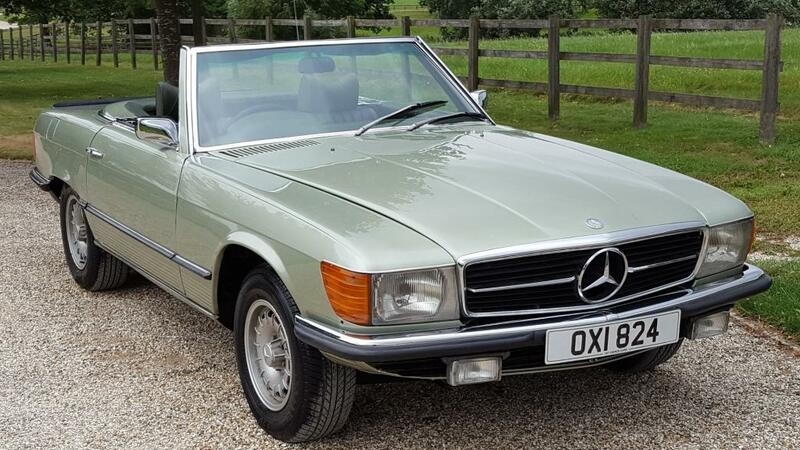 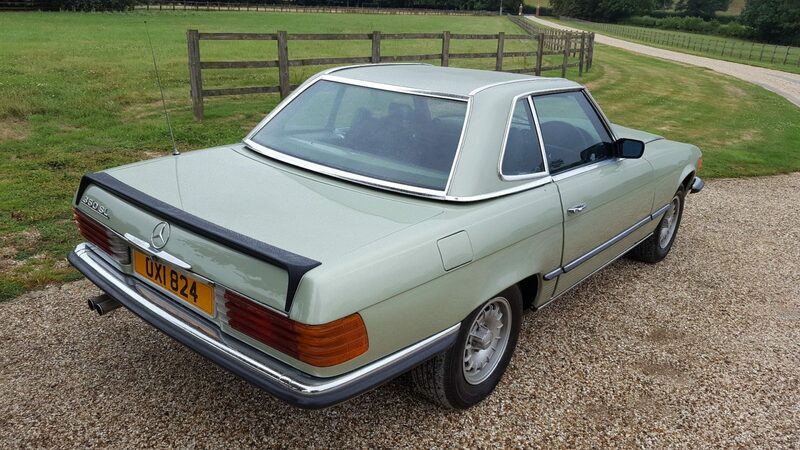 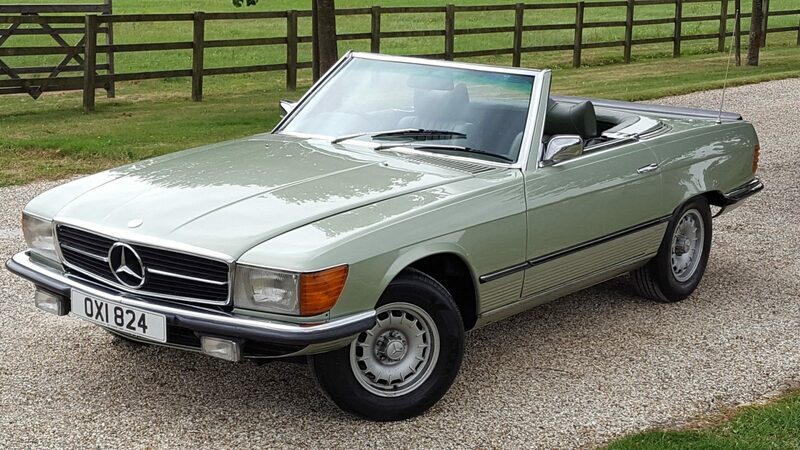 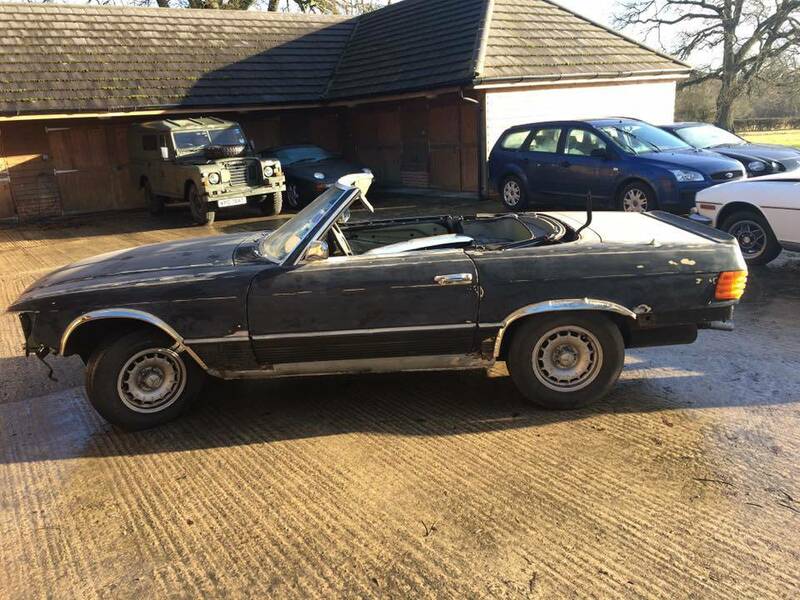 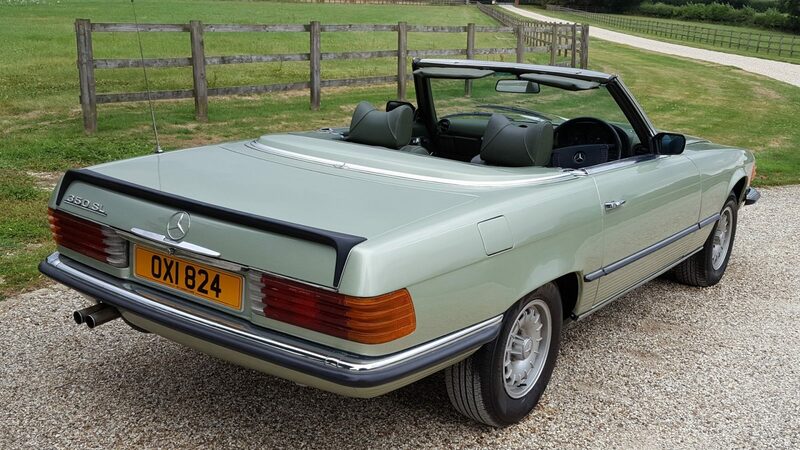 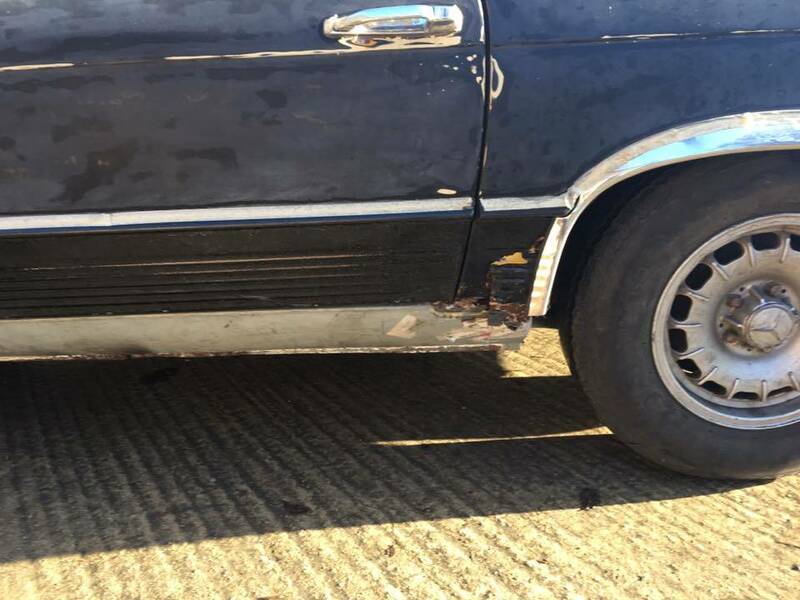 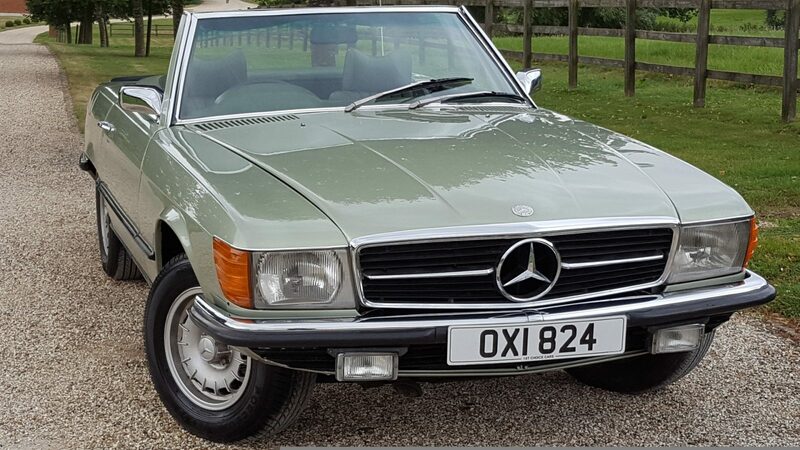 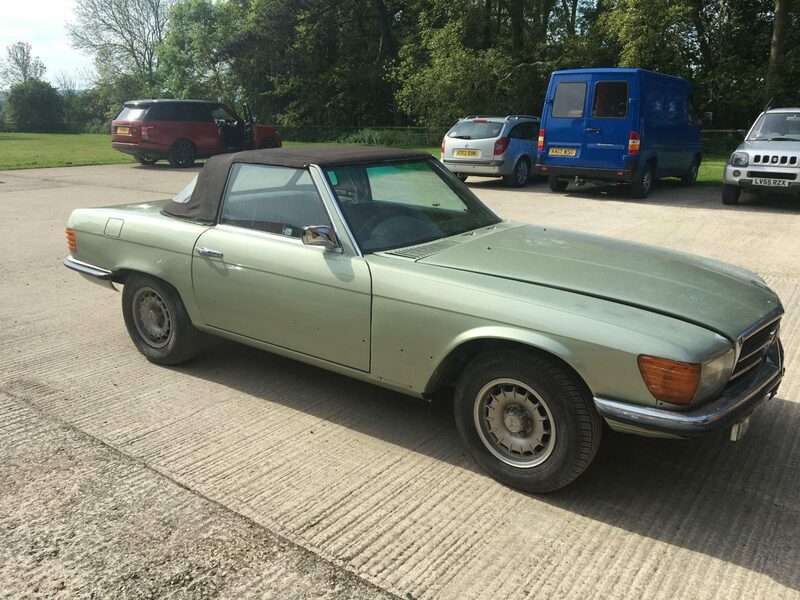 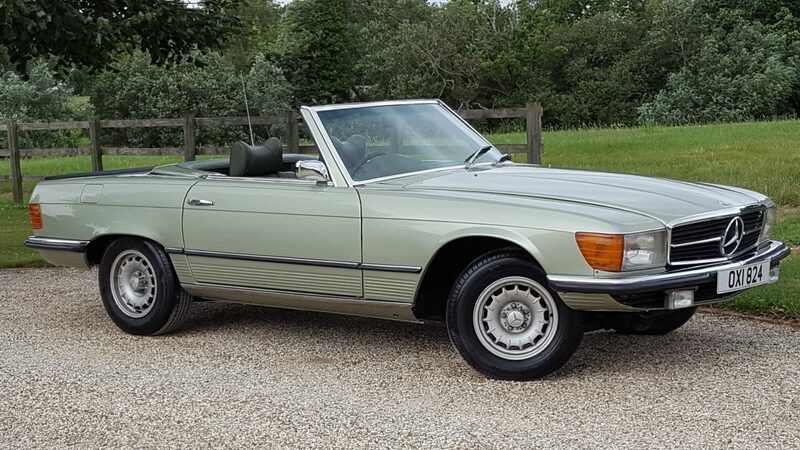 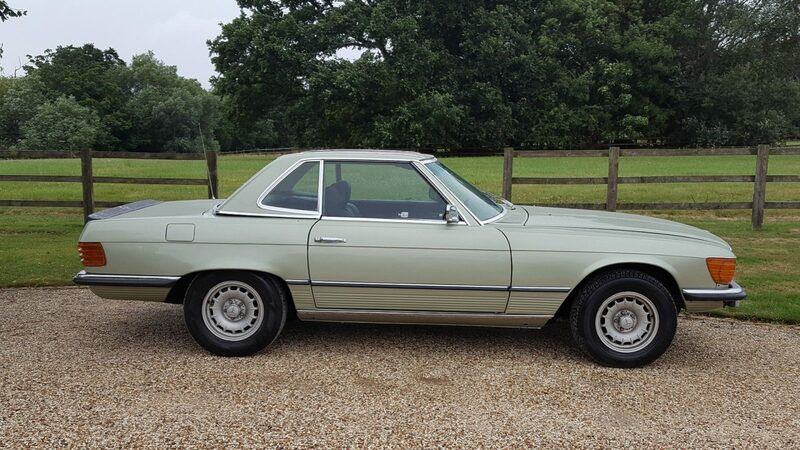 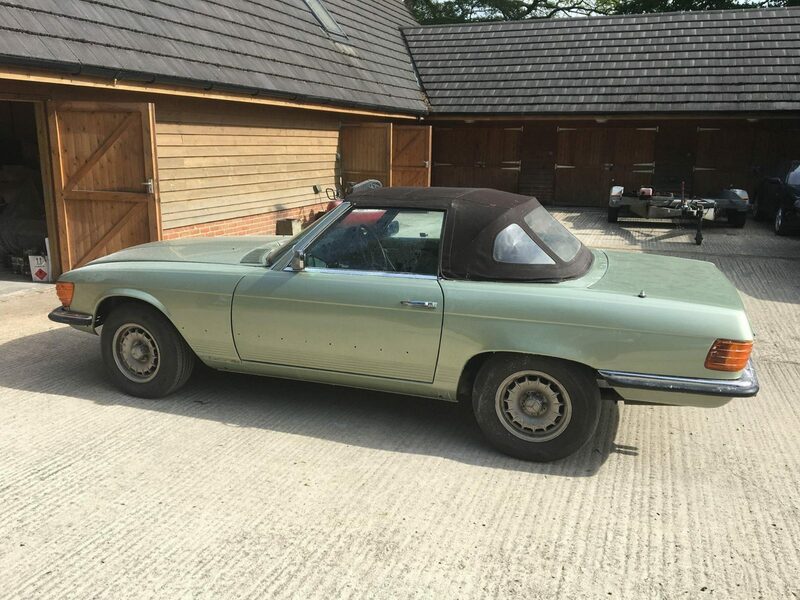 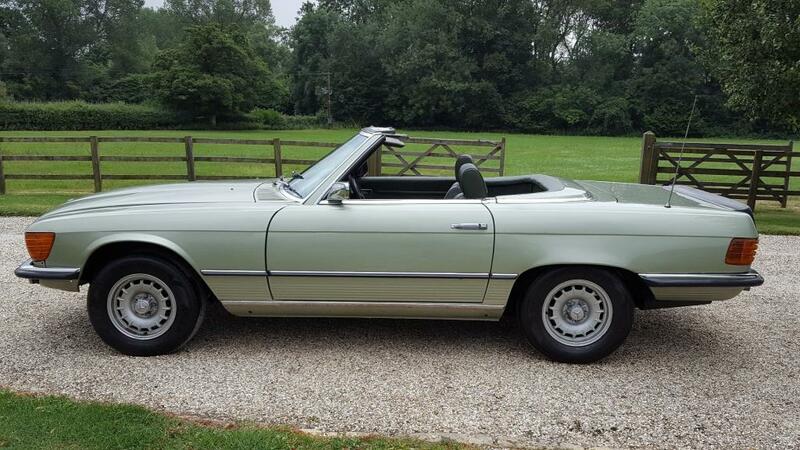 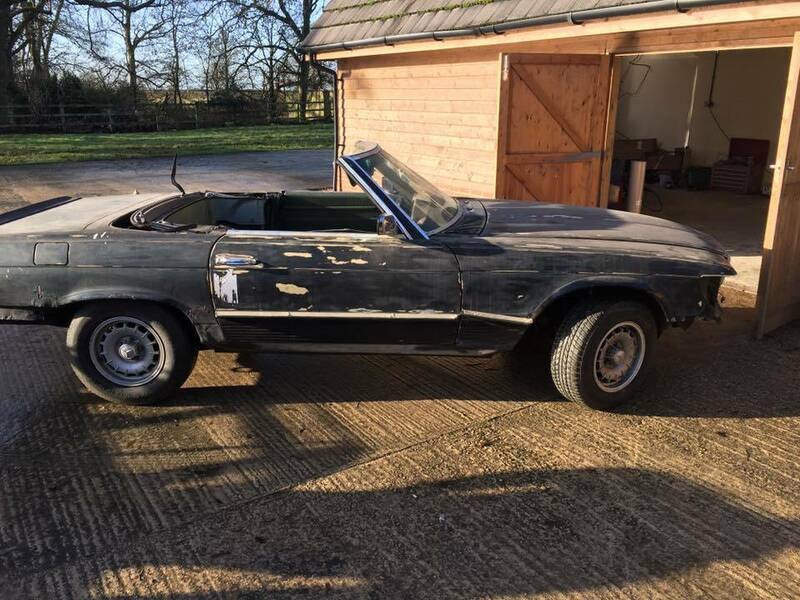 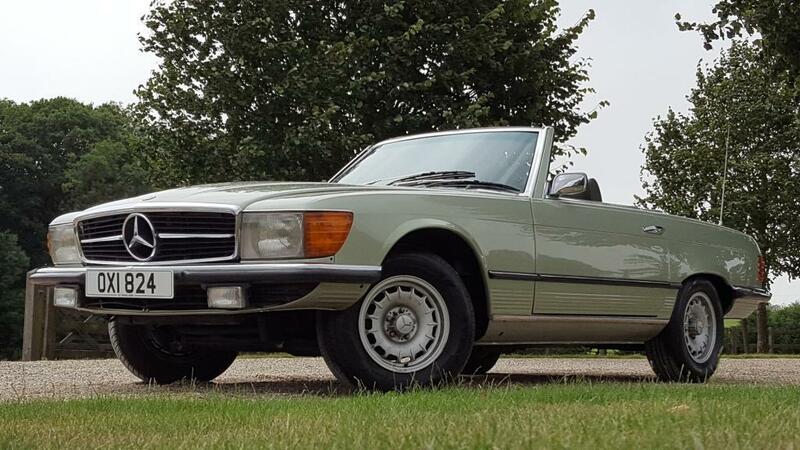 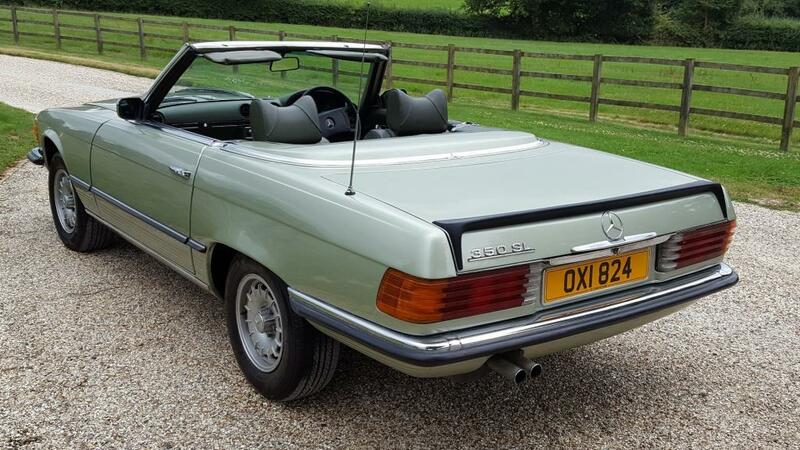 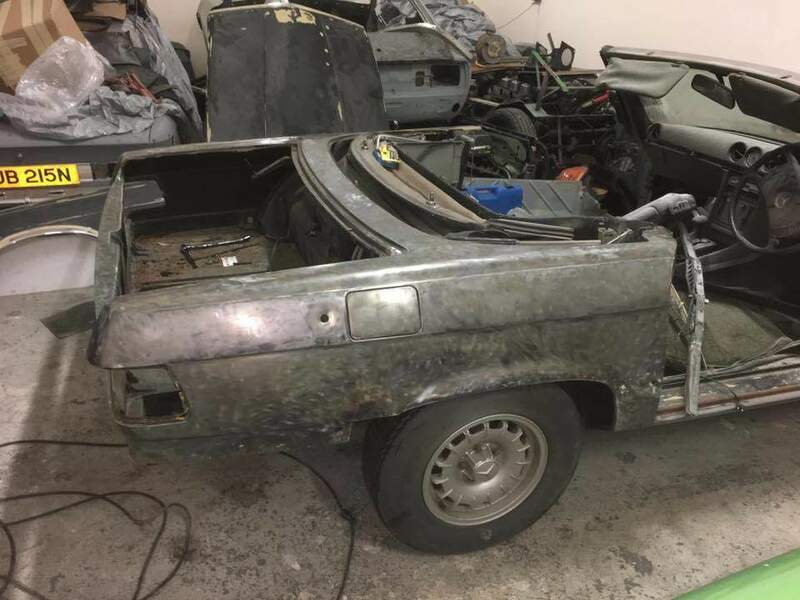 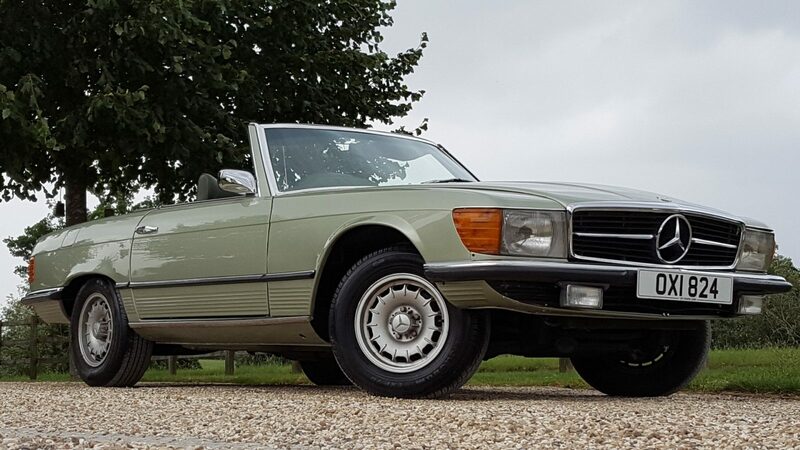 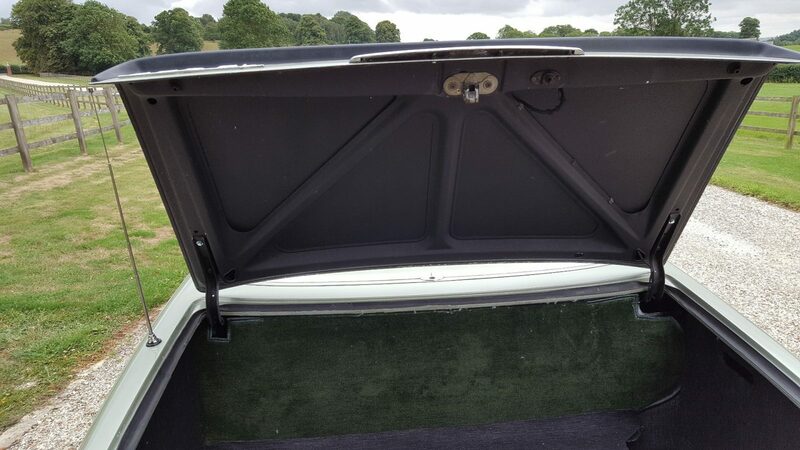 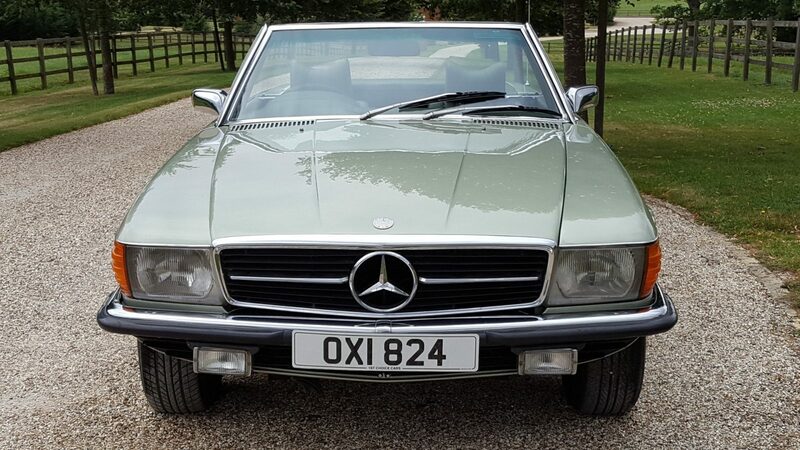 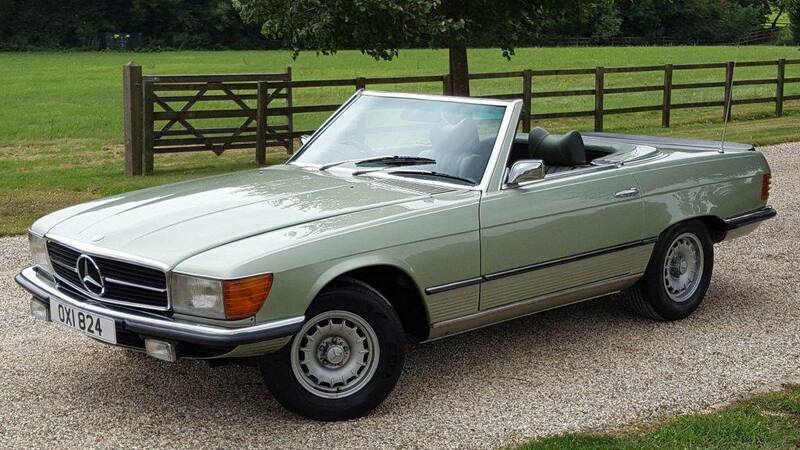 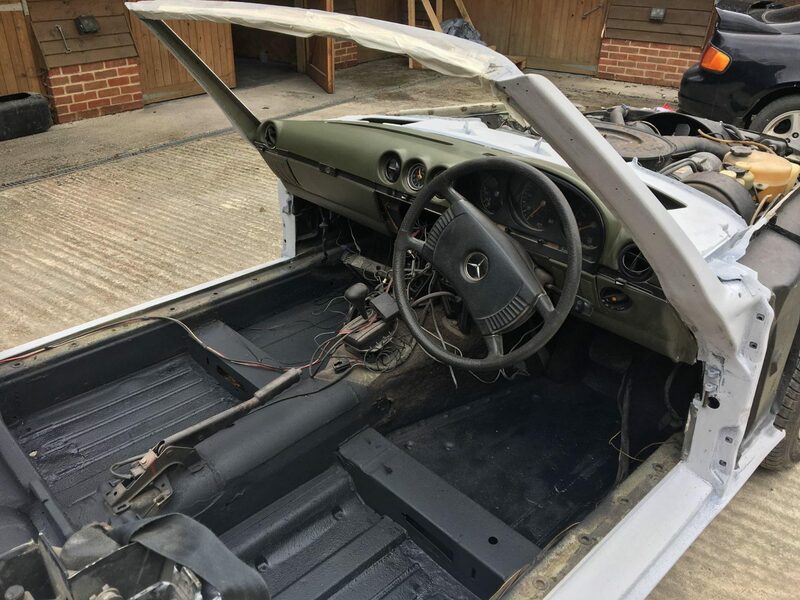 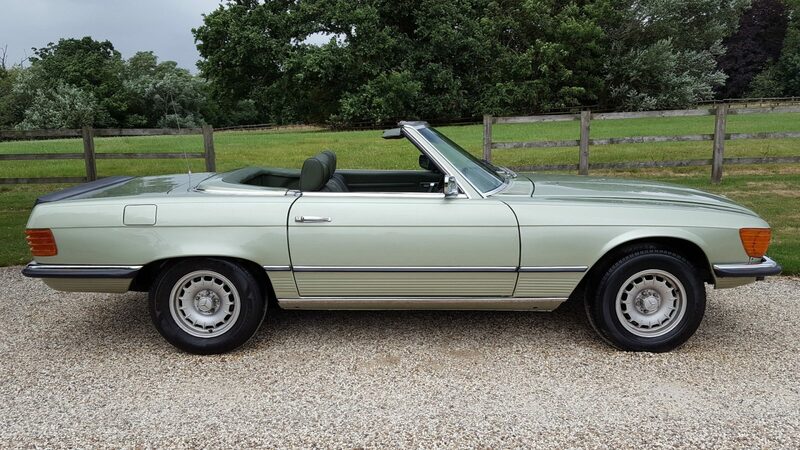 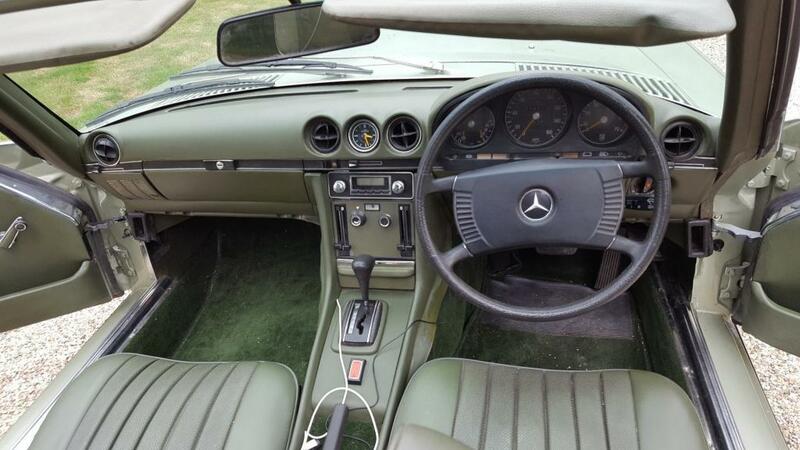 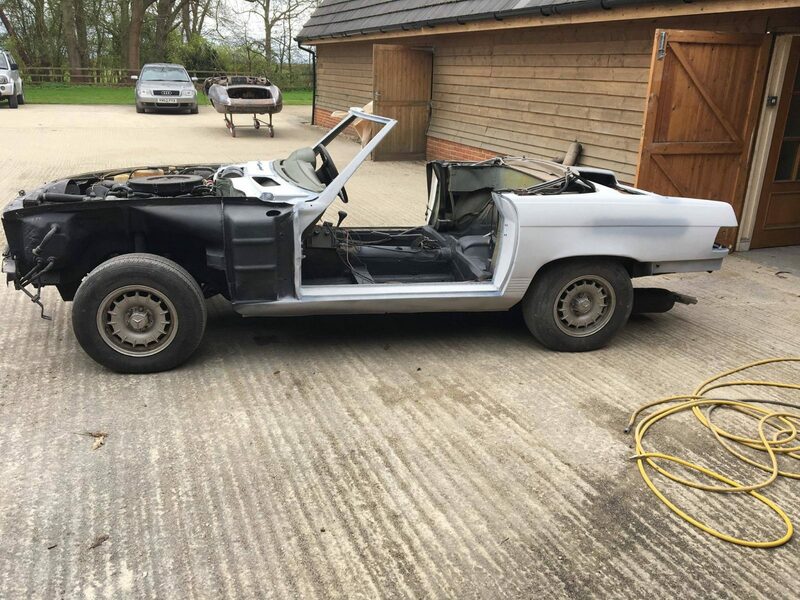 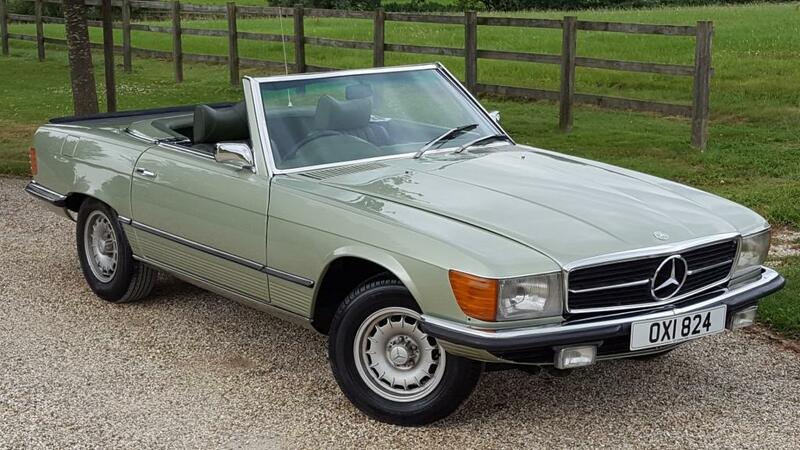 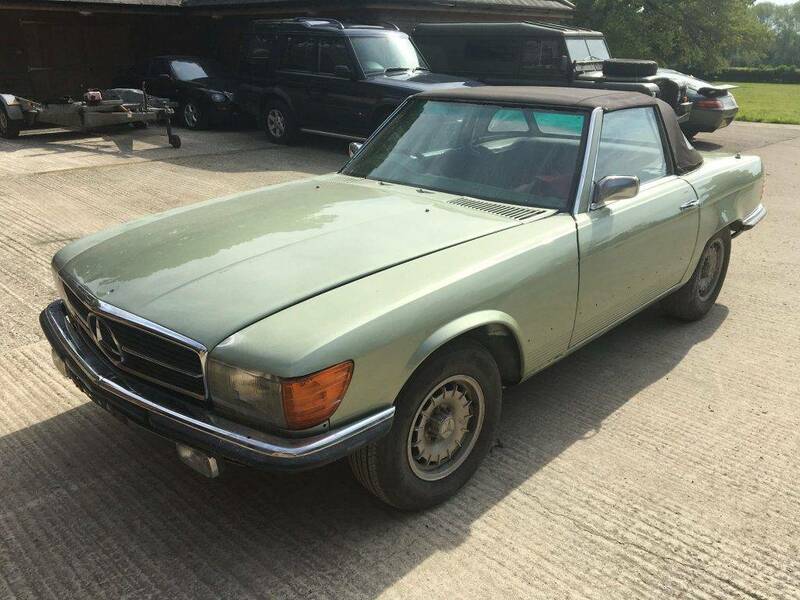 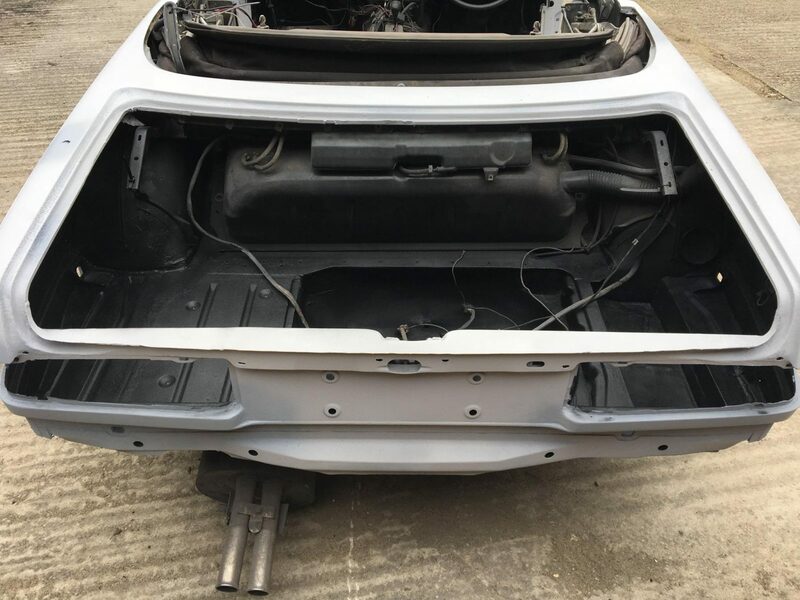 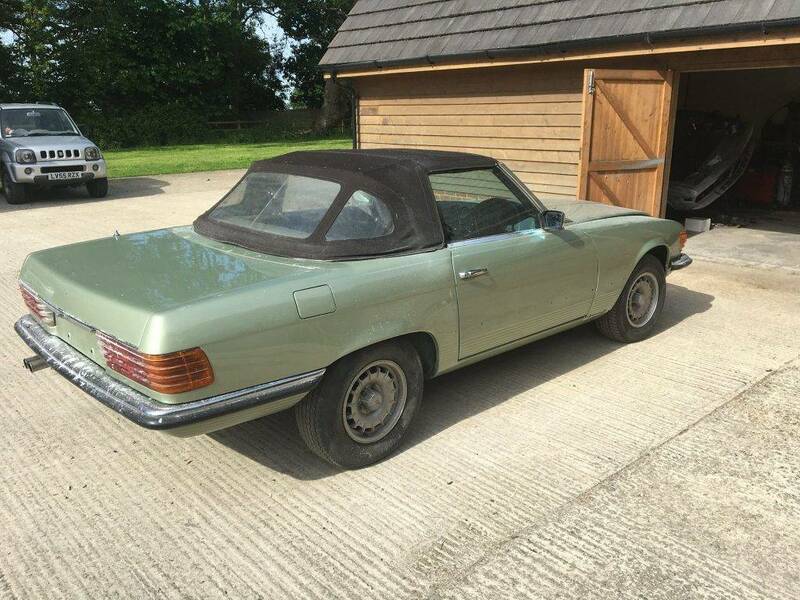 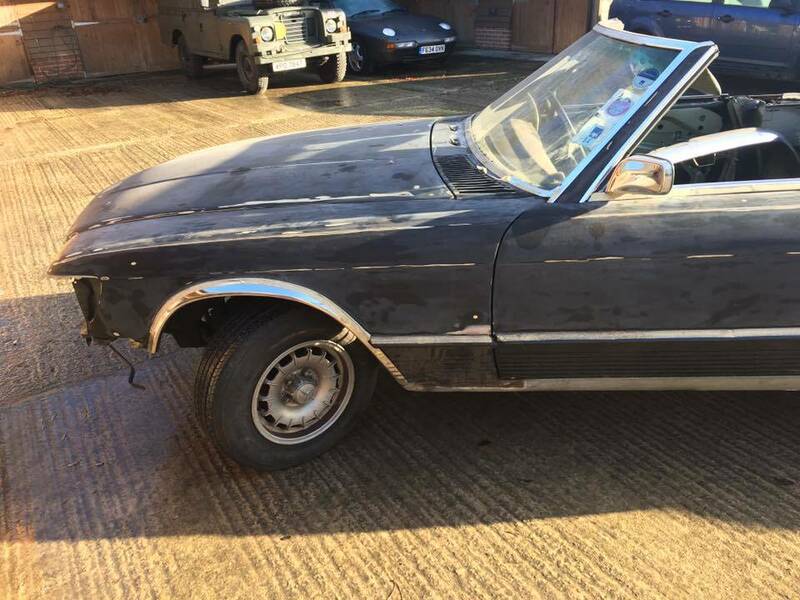 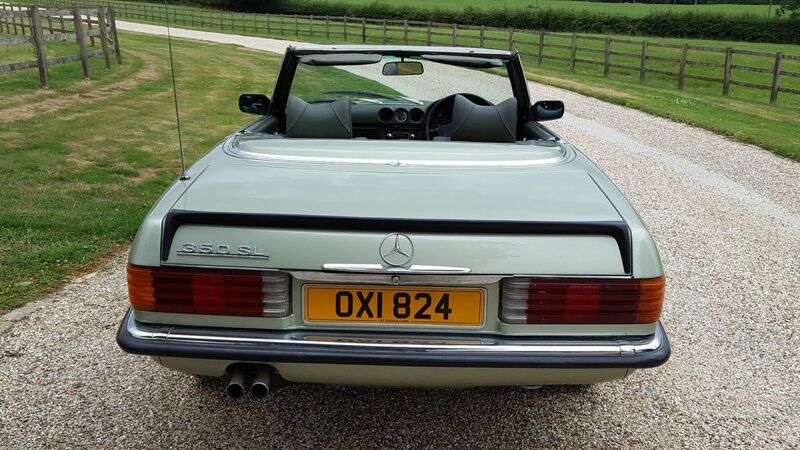 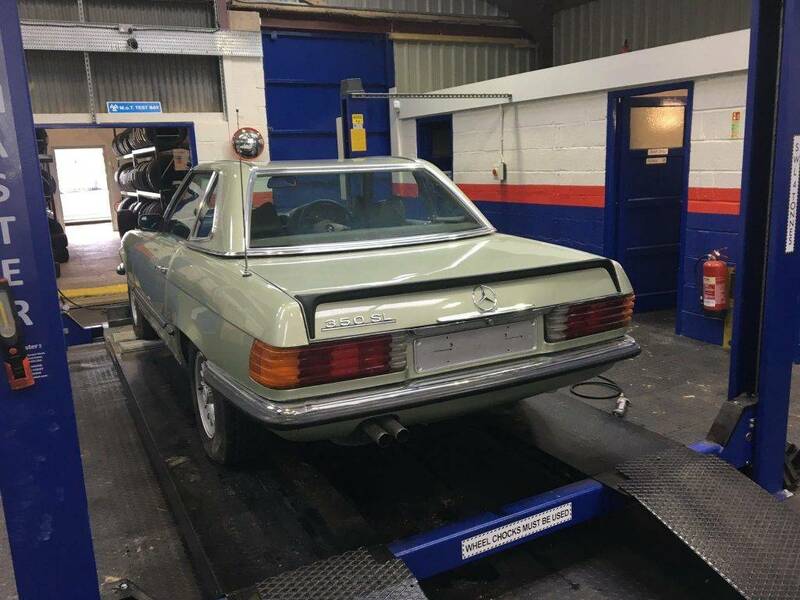 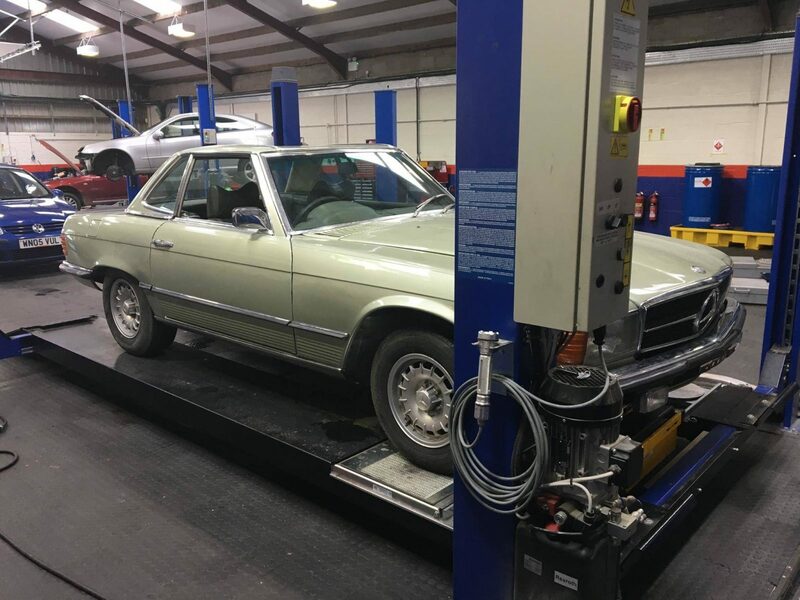 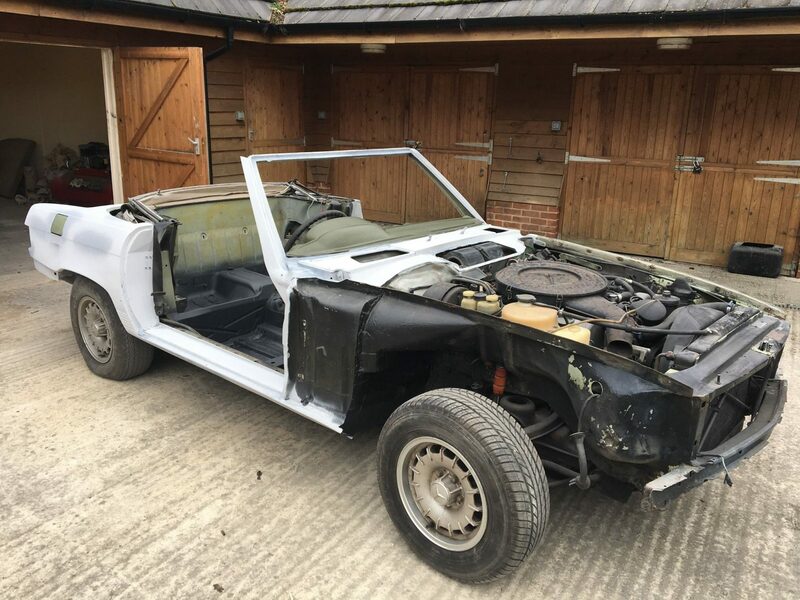 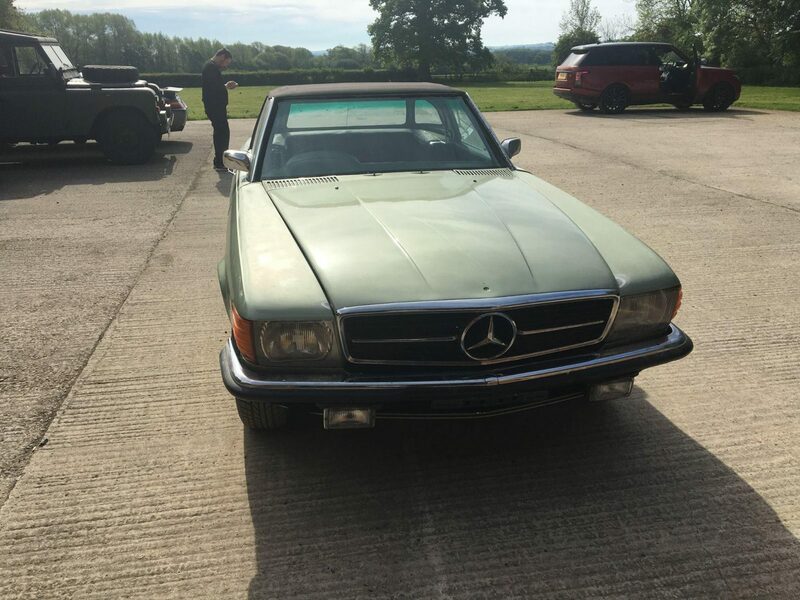 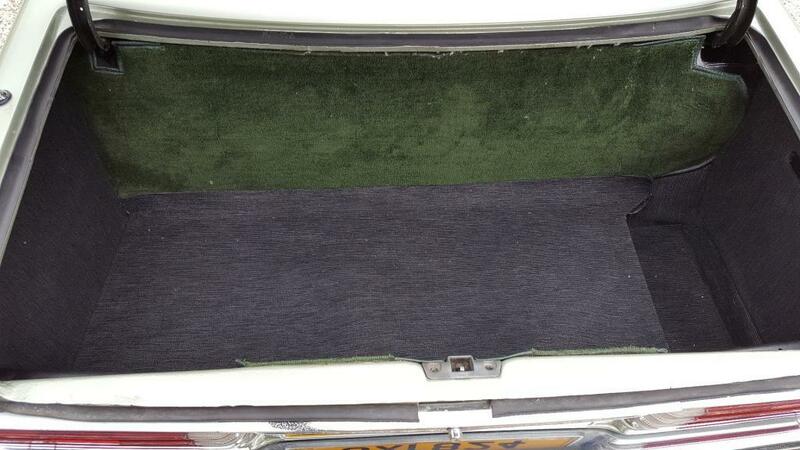 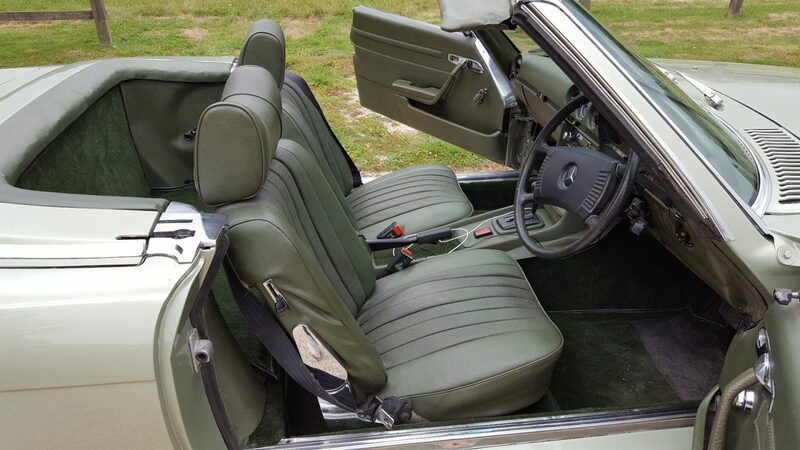 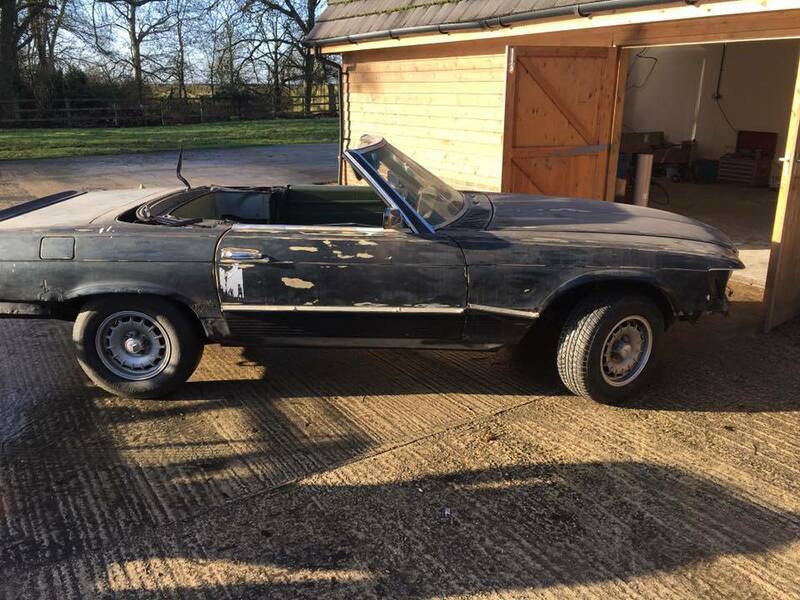 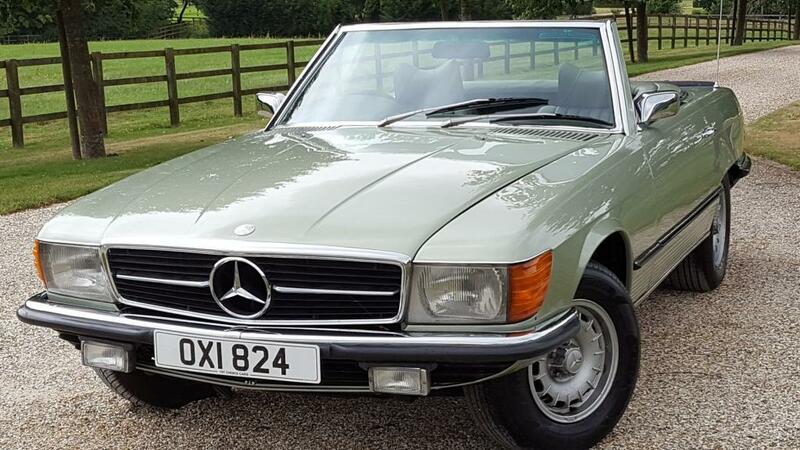 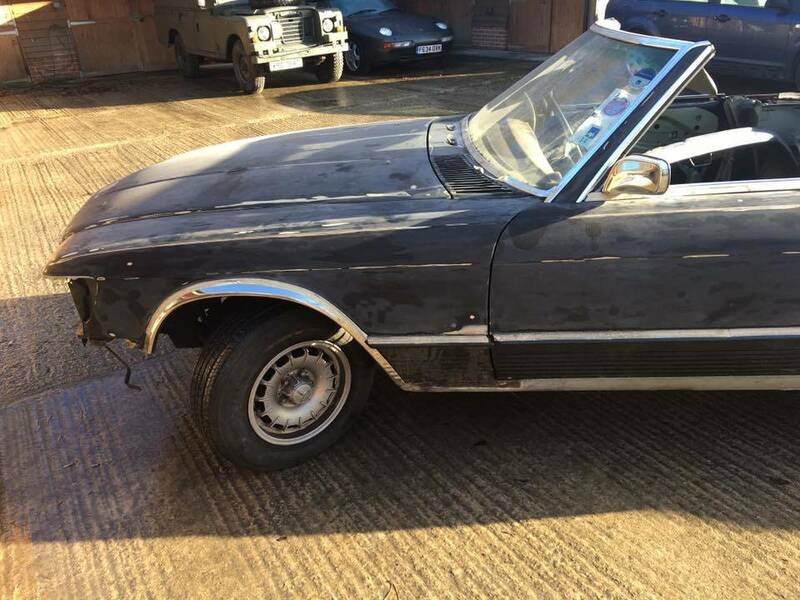 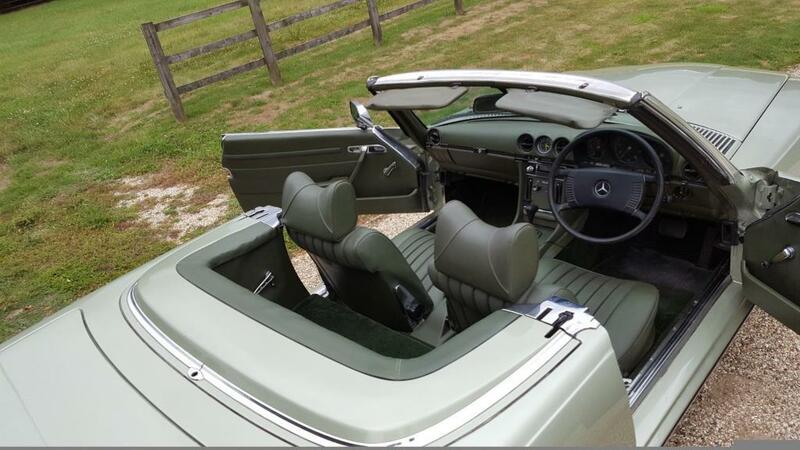 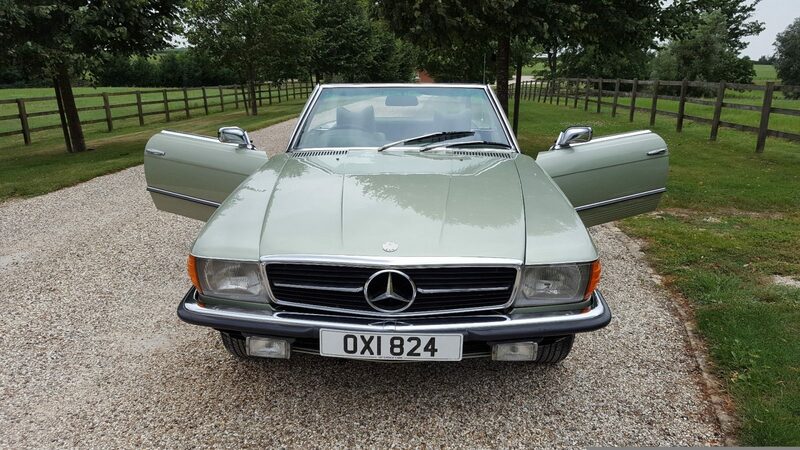 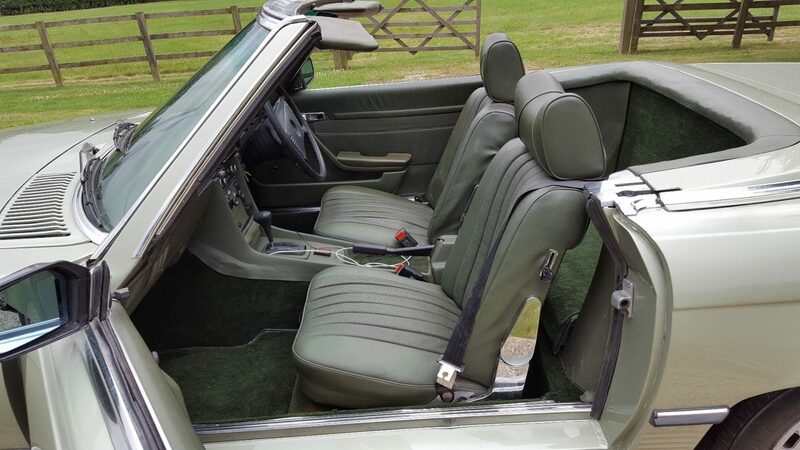 The vehicle itself is a Mercedes 350 SL 1973 year. 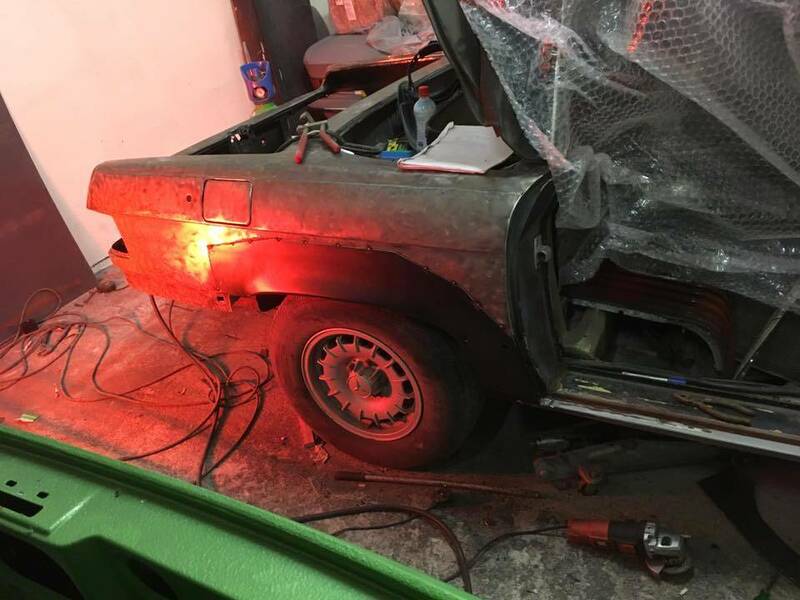 Our customer has been awaiting the vehicle since and we have been keeping him up to speed on the progress.